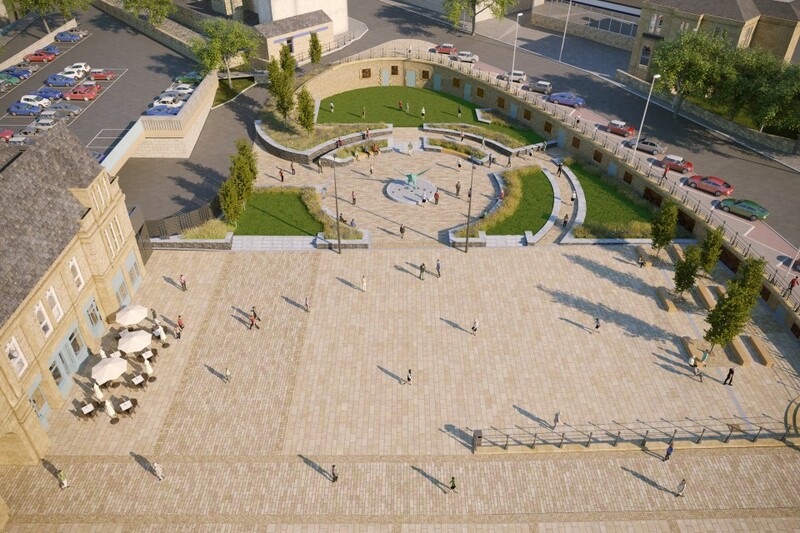 Darwen’s brand new Market Square is set to be officially opened at an event this May. Following months of hard work to transform the area, the £1.5m project has created an impressive public space that will be officially unveiled on Saturday 11 May. The area boasts the formal Market Square with enough space for people to enjoy large-scale outdoor events, including Darwen Music Live which is set to return just weeks after the official opening. There’s also a landscaped area, seating for relaxing and the potential for new retail units to be created within some of the strengthened units under Railway Road. A new piece of art depicting a majestic Peregrine Falcon will provide the centrepiece – being made of woven copper and created by renowned artist, Liam Hopkins. Darwen Market Square is looking really good and I’m looking forward to seeing it completed. This investment is the result of many years of planning and it’s great to see those plans become a reality. With the end fast approaching, I would like to take this opportunity to thank local residents and businesses for their continued patience during the work. We are keen that the space is used by people day-to-day and for community groups and organisations that want to hold larger outdoor events. Residents from across the town and different community groups have worked with the artist to help shape the pieces of artwork which will take pride of place in the Market Square. The square itself will be opened as part of Darwen’s Rotary Day – a community event that will showcase the good causes supported by Rotary and different local charities. The celebration will also feature family entertainment throughout the day. Please visit Darwen town centre’s website for all of the latest information.